Need a good pair of hunting boots but not sure what is best for you? When it comes to making the right decision, you want to consider tread, insulation, dryness, comfort and durability. In this article, we will go over some of the best hunting boots on the market. Having a good pair of hunting boots can make a huge difference in being able to tolerate the often unexpected terrain of the land and can definitely impact the safety of being out in the elements of ice, snow, mud and below freezing temperatures. We will go over 9 different pairs of hunting boots and discuss the pros and cons of each in this article. This list is comprised of the best rated and highest selling hunting boots of 2017 to prepare you for a successful hunting season. Overview: MuckBoots are considered one of the best brands for hunting boots for a few reasons and you really can’t go wrong if you are looking for a comfortable, warm, protective boot. This boot is designed to be waterproof, as well. The Arctic Pro will keep your feet warm, even in temperatures as low as -50°F. These boots are made with tall upper body, therefore, offer more warmth for your legs, as well. The boots offer good support and comfort with the cushioned sole and are made with thick tread to help with gripping terrain. Sitting in a hunting blind or tree stand can be chilling but these boots are sure to keep your feet feeling warm. This boot is very similar to the original MuckBoots Fieldblazer Hunting Boot with slightly different tread and sole design. Either choice is sure to please, as both offer comfort, warmth and are sure to keep you dry. Great boot for a reasonable price. Our pick for the warmest hunting boot. 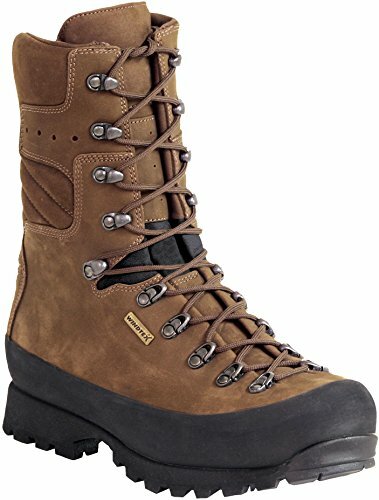 Overview: This leather hiking boot provides exceptional quality that is sure to withstand many seasons. The sole is designed with deep tread for great grip and traction in harsh conditions. With this being a hiking boot, you can guarantee is is built for stability and support. The Kenetrek Mountain Extreme is waterproof and non-insulated, making it a better choice for more mild temperatures. These boots are also made to be lightweight and less bulky. The boots are super comfortable with good arch support and many buyers have mentioned they don’t require being broken in, unlike many boots. If you are looking for a high-end boot that is sure to last many years, they are worth every penny. Overview: These waterproof leather boots offer 1000g 3M Thinsulate insulation for warmth, even in below freezing temperatures. These Irish Setter brand hunting boots are designed with ScentBan technology to keep odors and bacteria from developing within the boot. With memory foam built into the sole of this boot, it is sure to add comfort for extended periods. These boots are made to work with a rugged design and a deep tread makes this a good choice for dependable traction and grip. 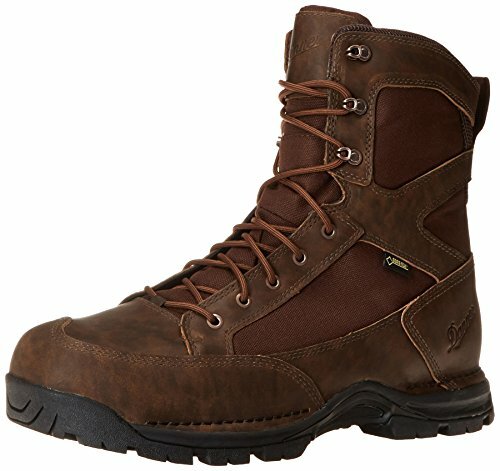 Irish Setter also offers the 880 Elk Tracker, rated at 200g for an alternative option if you’re looking for a less insulated boot. Overview: These leather boots are made with a GORE-TEX lining to offer 100% waterproof capability. They have a lightweight design, good support and rugged tread that is ready to take on the toughest terrain, making these a good choice for hunting or hiking. This boot is made for comfort and long-lasting wear that requires little to no break in. As these are uninsulated boots, they are best for use in warmer temperatures and are designed to keep your feet cool and dry. Overview: Chippewa is known for their high-quality, long-lasting line of boots and this boot is no exception. This 17″ tall boot is a great option if you are dealing with snakes, thorns or a lot of brush while out in the elements. 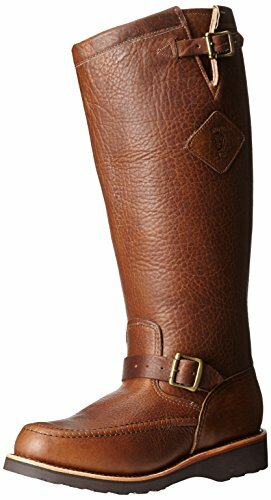 This boot is made with an inner lining and an outer layer made of 100% leather to protect again snake bites and other objects. The Vibram sole is designed to provide ultimate comfort for long days of being on your feet. This boot offers two functional straps that can be adjusted for the perfect fit to suit your needs. Overview: Another Danner brand boot makes our list at number 6 best hunting boots. These rugged, American made boots provide 8″ of support. The combination of leather and cordora materials are designed to be resistant to tears and abrasions, making it a great option for withstanding heavy brush. These boots are made with GORE-TEX waterproof technology, keeping you dry and moisture-free in wet conditions. The air-cushioned insole helps to provide comfort over long periods. The boots offer a deep, aggressive tread to help with traction in mud and snow. These boots are uninsulated, making it important to have thick socks if using them in colder temperatures. 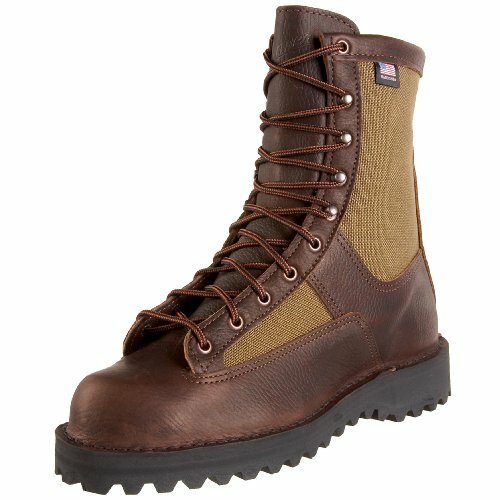 This Danner boot is an overall great choice for durability and comfort. 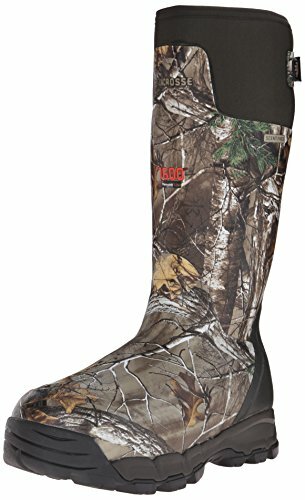 Overview: MuckBoots make hunting boots for women, as well, which come in this original print or a catchy pink design, too. These 13″ tall boots are designed to offer flexibility and comfort for whatever activity you may find yourself doing. 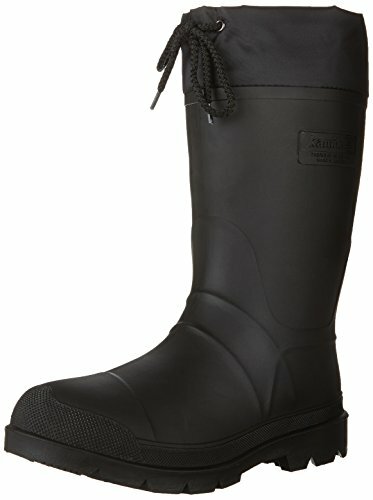 These MuckBoots for women are 100% waterproof and breathable to keep you warm and dry, even in subzero temperatures. These boots are made with a rugged tread to keep your footing steady and balanced while walking in harsh terrain. The added protection of an achilles overlay in this boot is designed to achieve more comfort for longer wear. Overview: If you are looking for a very reasonably priced hunting or winter boot, look no further. This Kamik boot offers a removable thermal-guard insulated liner for added warmth during cold temperatures. These 13″ tall boots are waterproof to keep you dry and warm and come with an adjustable collar at the top of the boot to find the fit you prefer. These boots are durable enough for mud and snow and comfortable enough for extended wear. Overall, this is a great hunting boot for the price. 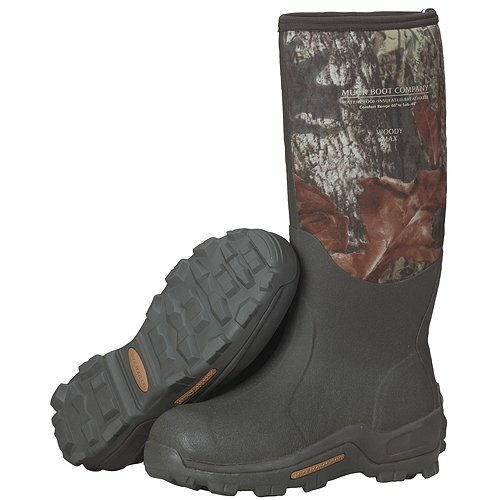 Overview: With a similar design as MuckBoots, the LaCrosse hunting boot comes in as a great competitor. These 18″ tall hunting boots are waterproof and have 1600g Thinsulate insulation to keep you warm. The liner of the boot is designed to be moisture-wicking and quick-drying. These boots come with an adjustable strap at the top of the boot to fit your calves and adjust as needed if you prefer to tuck your pants into the boots. The comfort platform underfoot offers supreme comfort, even on long treks through the woods in mud or snow. The scent-free technology of this boot makes it a great choice for hunting. 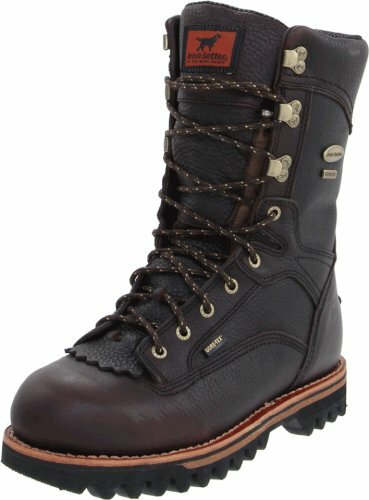 What do you recommend is the best boot for colder weather? The LaCrosse Alphaburly boots are rated 1600g and are great cold weather boots for hunting or anything outdoors. If you are visiting South Africa you need to have a pair of good snake boots. Appreciate all the pros and cons of each boot. This will help for when we decide on a pair for our son for hunting seasons coming up! Thanks!!! I’m scheduled for a moose hunt in on the Churchill River in Northern MB this fall. I’m having trouble finding the right boots to bring. It’s a fly in hunt and we stay in tent schelters. I’m concerned knee high Muck type boots would collect the sweat from my feet and not dry out. I’m looking at the Baffin Hunter rubber boot, similar to your Kamik but don’t know how they will work when doing some hiking. 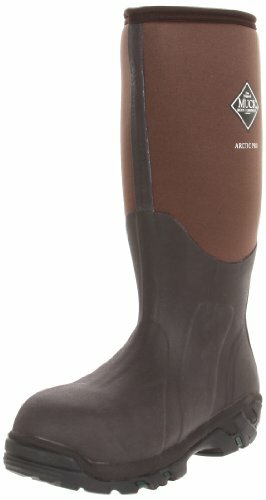 I’m considering the Irish Setter Elk Tracker or Kenetrek Mtn Extreme with gaters, but, concerned with them being truly waterproof.